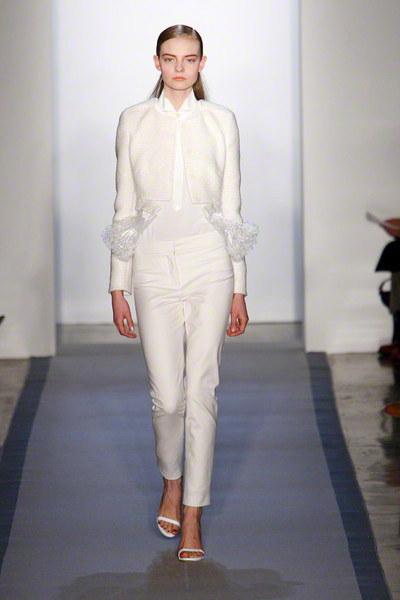 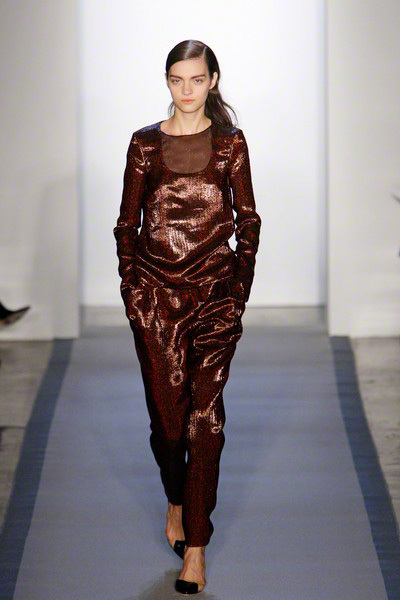 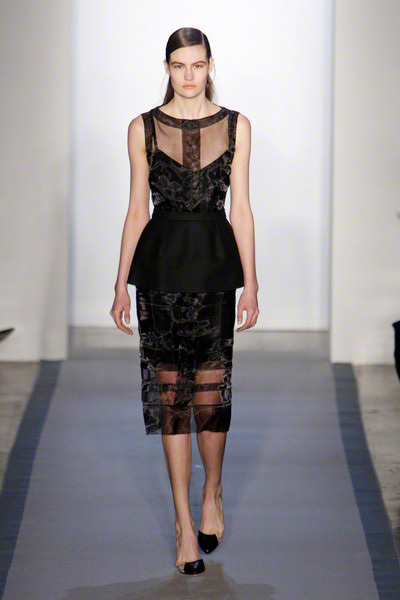 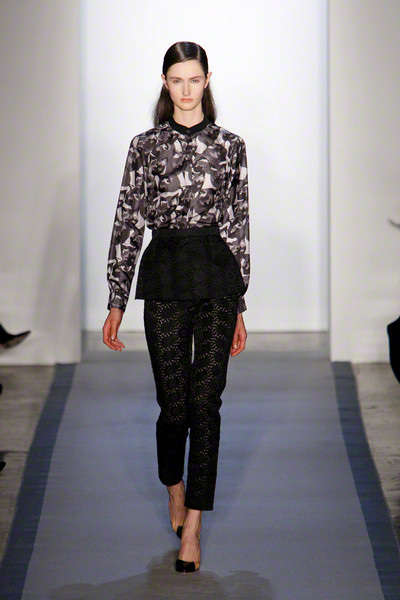 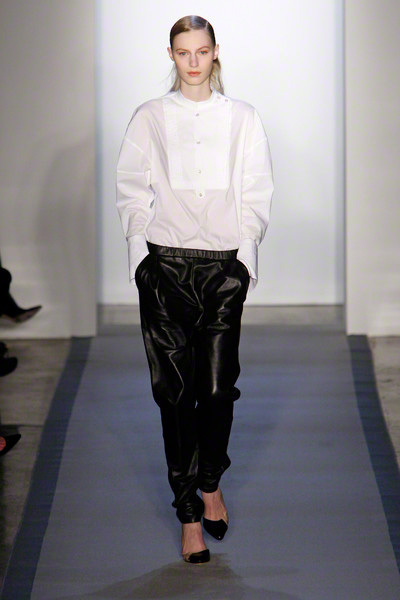 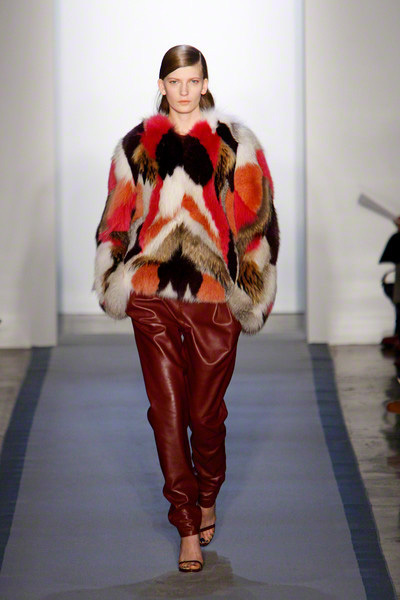 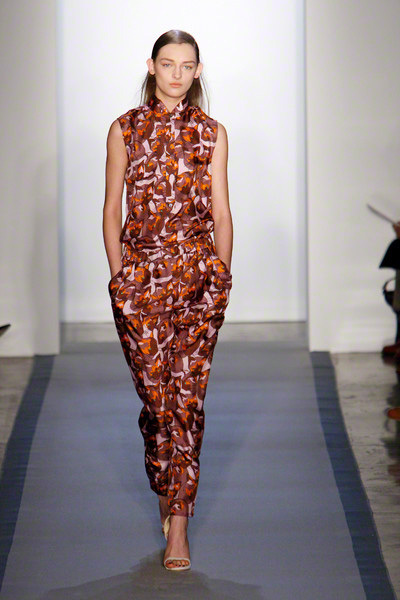 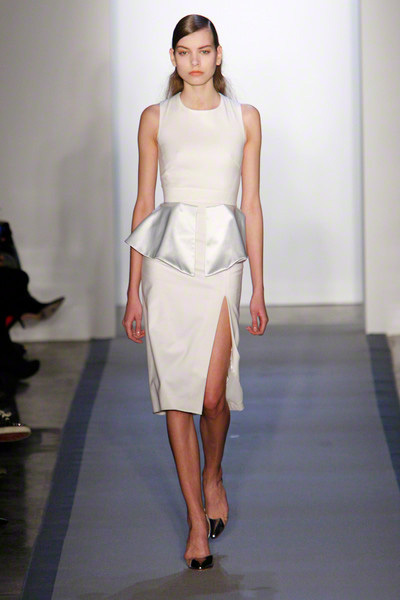 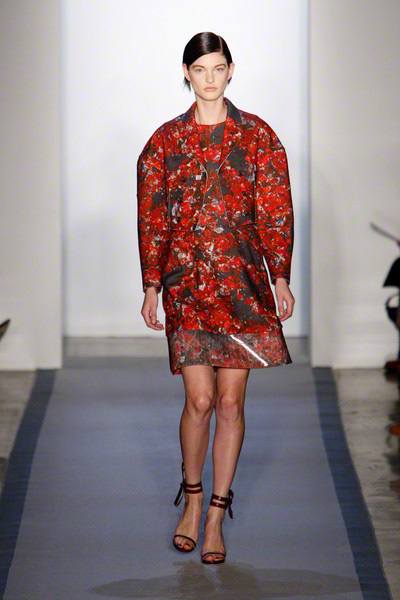 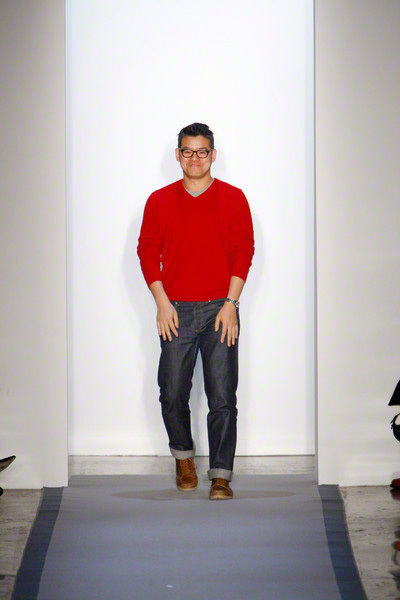 There was a lot of peplum-stuff going on at Peter Som. 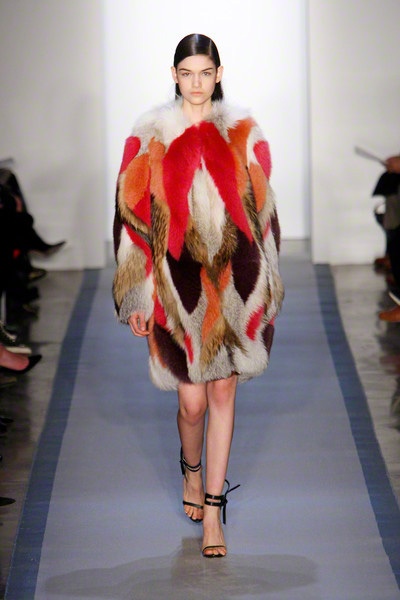 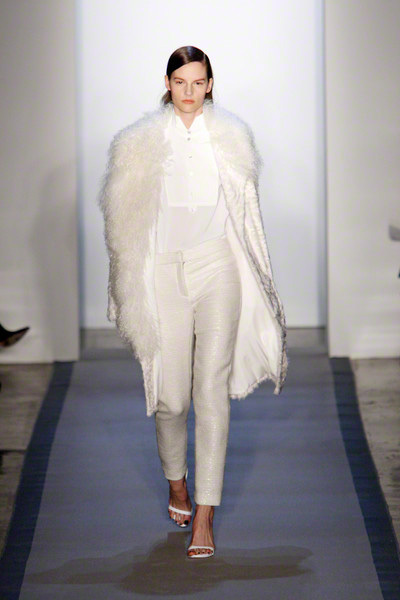 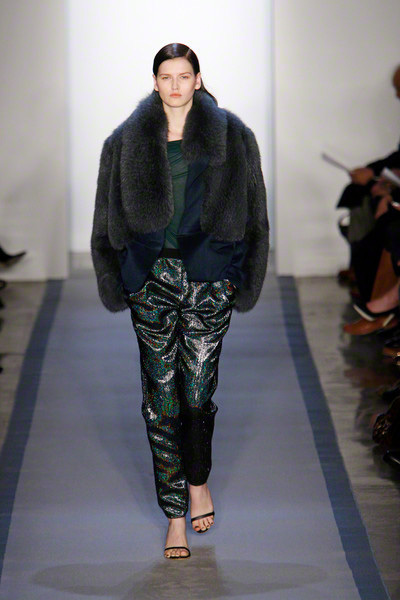 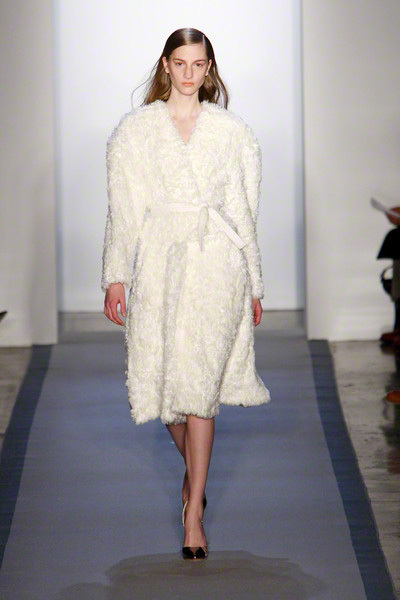 With this major seasonal trend Som payed homage to Hollywood icons like Marlene Dietrich and Katherine Hepburn. 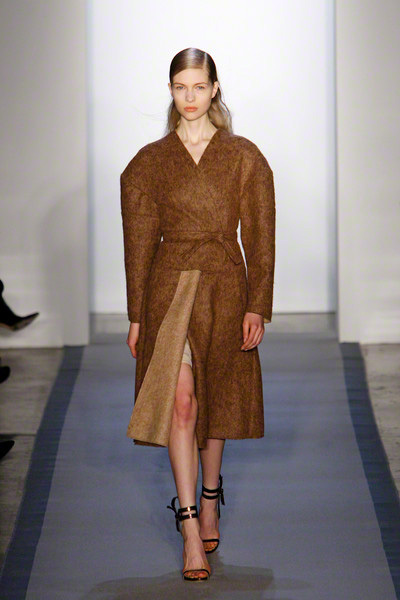 The designer was also inspired by the industrial shapes of 20th century sculptors Chamberlain and Brancusi. 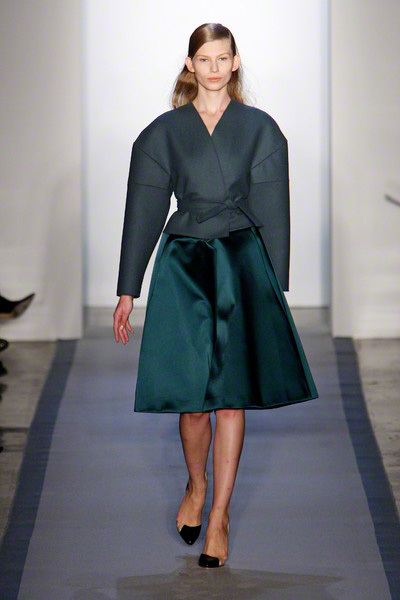 Stiff fabrics added an architectural element to the clothes. 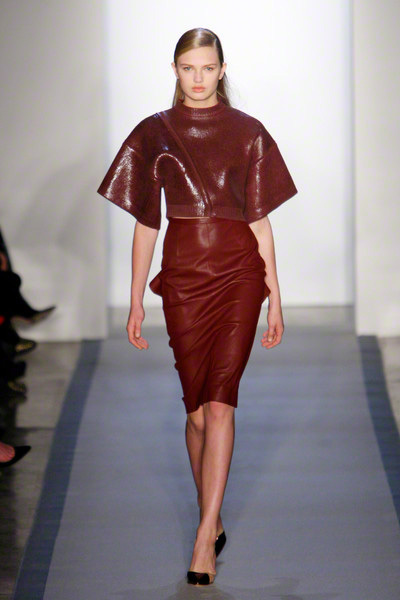 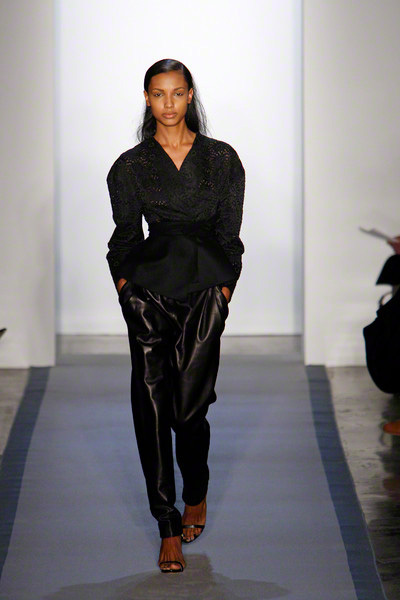 The designer explored just about every use of the peplum from skirt-like overlays on top of narrow trousers to a frill on the rear of a beautiful, leather burgundy pencil skirt to a long, flowing floor-length chiffon train on a black nylon organza dress. 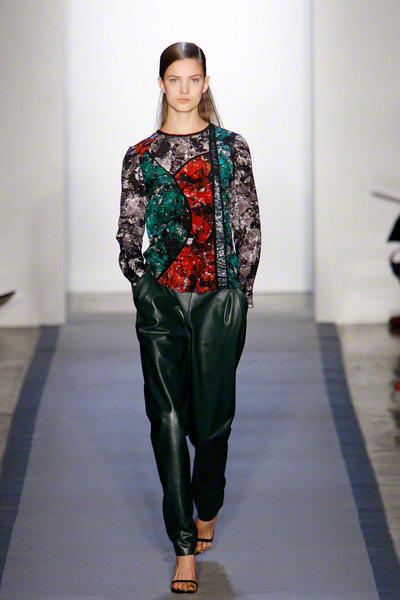 Prints were almost absent, but the colors were interesting: bottle green, burgundy, muddy brown and flashes of neon pink.